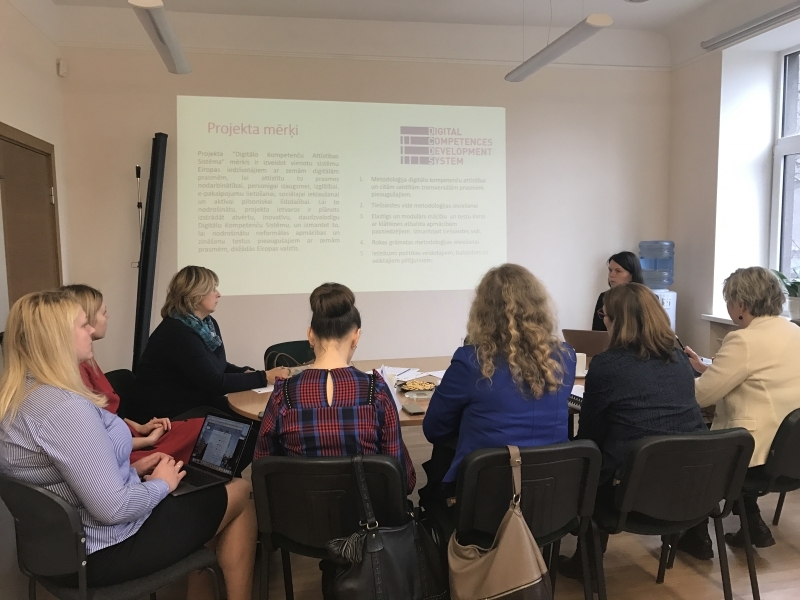 On 26 of November, Latvian partner LIKTA (Latvian Information and Communication Technology association) organized the second peer review event within the DCDS project. 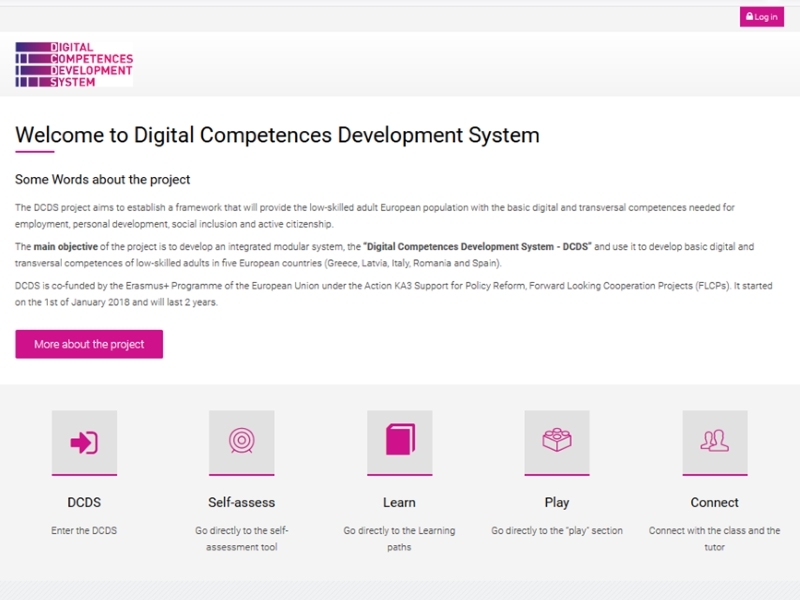 The peer review gathered field experts to collect feedback and carry out a discussion about the Digital Competence Development Methodology developed for target audience training – citizens older than 25 years with low digital skills. Peer review gathered various experts in field of adult education, who are working with different domains. Representatives from State Employment agency, who is working with unemployed and people with risk of exclusion, and Ministry of Environmental Protection and Regional Development, who is responsible for overall digital skills development for general population, expressed their interest in the work done and acknowledged the value of developed training methodology. 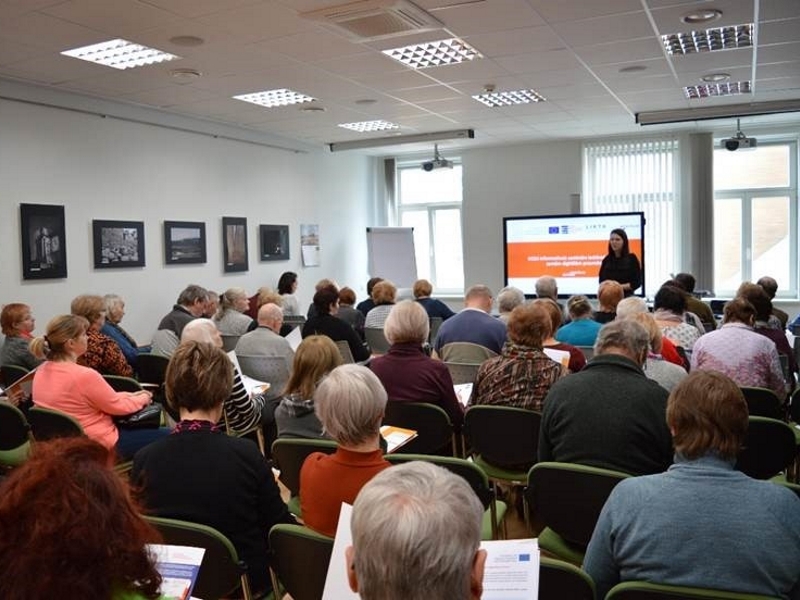 Library network represented by Culture Information Systems Centre, who is working with many adults and senior citizens, saw the potential in developed materials to be applied also in training of librarians in Latvia. 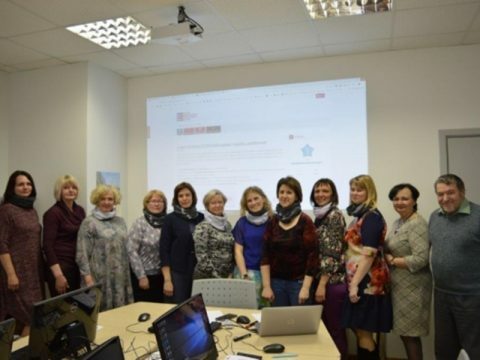 Representatives from various training centres and formal educational sector discussed about the chosen approach of individual learning paths and learning plans and agreed, that prepared materials could be used not only to train various target groups in informal education, but some of the elements would provide a great added value also in formal education in secondary schools. Peer review experts saw potential in the learning methodology and possibilities to apply it other fields of work done in adult education. Experts expressed interest to further fallow up the development of project, training materials and pilot result. The peer review was a valuable insight in opinions of the projects stakeholders in Latvia.